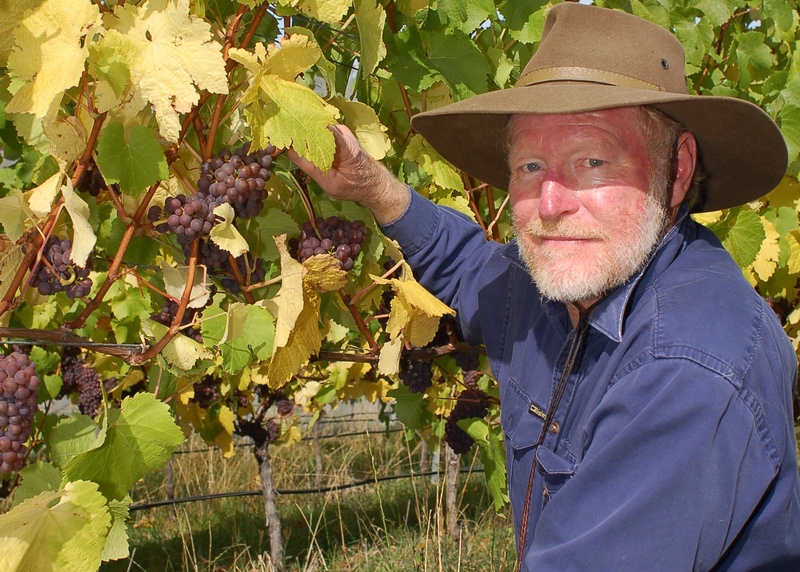 Today we are featuring Bream Creek Farmers Market stallholder, and local resident, Alastair Christie of Cape Bernier Vineyard. Cape Bernier is located on the slopes of Bream Creek overlooking Marion Bay, and if you’re looking to reduce food miles, you couldn’t get much closer to the Farmers Market itself! Wine grape vineyard and wine production, olive growing, olive oil and production of table olives. How long have you been growing/operating? A mix of outdoor activities in the vineyard and office/business activities. What do you enjoy the most about the Bream Creek Farmers Market? It’s relaxed, casual but business-like. How long have you been selling your products on the market circuit? We have been presenting and selling wine at Wine Shows and Festivals since 2005. The Bream Creek Farmers Market is the first with “Farmers Market” in the name! Has anything especially funny ever happened to you at a market? What’s your favourite thing about selling at a market? Meeting people, talking about what we do and developing an understanding of our wines and what makes them special. Where else are your products available? Specialty outlets in Tasmania (Hobart and Launceston mainly), Melbourne and Sydney. These include restaurants and specialist bottle shops. Vines and Designs at Copping is a local example. We also operate a Cellar Door at the Vineyard and a website, so our wines are available through these channels. Please note that the Vineyard and Cellar Door are open “By Appointment” so if you would like to visit, please call to ensure someone will be on-site! We have a small operation and can’t be here all the time. Alternatively our wines are available at Vines and Designs in Copping (on the Arthur Highway at the Bream Creek turn-off). Cellar Door: Cape Bernier Vineyard, 230 Bream Creek Rd, Bream Creek, TAS. Image supplied by and used with the permisson of Alastair Christie.